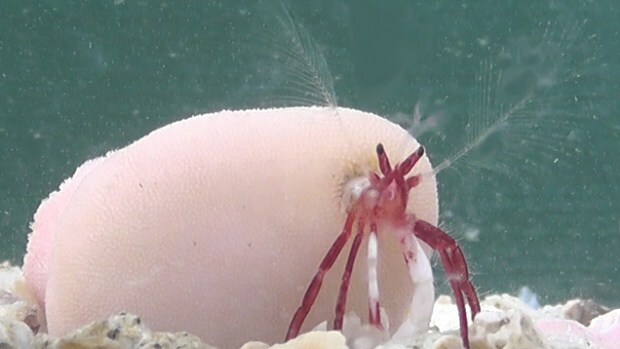 A new species of hermit crab with feathery antennae has been discovered off the coast of Japan. What’s especially cool is that they use living corals as shells. Small “walking corals” unattached to large reefs have long been known, and some have been observed in symbiosis with worms that hid inside and in return help the coral move around.